English pop artist Rex Orange County took second in the BBC’s Sound of 2018 Poll and is set to conquer new musical worlds. in Santa Ana, here are some things to know. His real name is Alex O’Connor. ➜ His stage name comes partly from a nickname he got in high school when a teacher began calling him “The O.C.”—after the teen soap opera of the early 2000s—because of the initials in his last name. Plus, he thinks Orange County has sunny associations, though he has never lived here. “I have some kind of attraction to that place like a lot of people do. … California is appealing,” he says. And he just likes the sound of Rex. He went to an OCSA-style school. ➜ He grew up in Haslemere, a quaint, 13th-century town in Surrey, and attended the renowned BRIT School, a south London performing and visual arts school with an alumni roster including Adele, Amy Winehouse, King Krule, and other music industry successes. His “Loving Is Easy” video has more than 7 million views on YouTube. 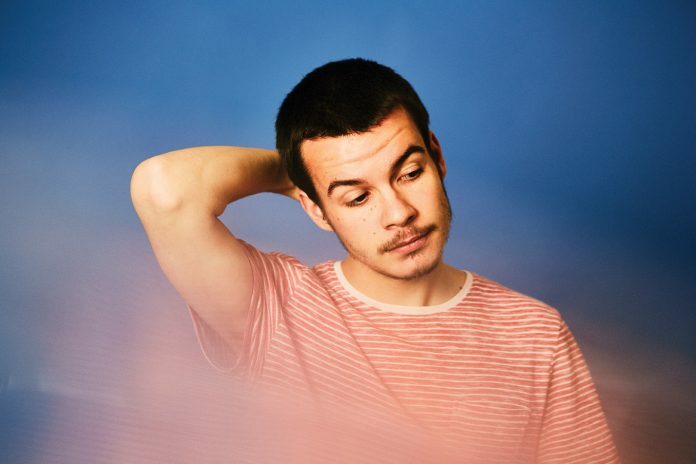 ➜ Planned as a live-action video, it became stop-motion animation when he learned live-action is “rad expensive.” He turned to director Chris Ullens, whose team designed and animated two puppets—one of Rex Orange County, the other of Benny Sings, his Dutch collaborator. He started as a drummer. ➜ A multi-instrumentalist who also plays piano and guitar, he started singing in earnest while at the BRIT School. “It was like right time, right place, and I felt I had more to give than just holding some drumsticks,” he says. He admires artists Frank Ocean, Kanye West, and Pharrell Williams.